Visibility/Location: This haunt is located inside Santa�s Village Azoosement Park, so from the outside there are no signs for the actual haunt, but there are clear signs pointing into the Santa�s Village parking lot. Once in the lot, there is a big sign at the front entrance advertising the haunt, as well as several smaller signs prominently posted around the park. However, the actual location of the haunt inside the park (which is behind a barn) is not obvious. We had to ask for directions twice. In all fairness, though, if you make it inside of the park you�ll find the haunt. The parking lot is huge and spacious as it is for the park itself. It is also free. Wait Entertainment: There was not wait entertainment for the haunt, although we were the only people visiting at the time, so we had no wait at all. When we exited the haunt there was one live actor who came up to us and talked to us, and when we were leaving the park the same actor was greeting visitors, so technically he would qualify as the wait entertainment. Crowd Control: There really was no need for crowd control on the night we were there as there were literally no other people in line. Thus, crowd control and patron flow were both fine. Nightmare from North Street would fall into the category of a more family-friendly haunt. In keeping with the tradition of Santa�s Village as a family oriented amusement park (and one oriented more towards younger kids), the haunt provides some decent starts and perhaps a couple of unexpected scares, but it�s not in your face or intense by any means. That is not to say that the haunt is not interesting. It is enjoyable and provided some good laughs and some decent sets. I just wanted to make clear that one should not expect to see very highly detailed sets, lots of intense actors, or lots of blood and gore. As mentioned, the haunt is held in a barn at the back of Santa�s Village. Visitors have to walk around one barn to the haunt barn, so it�s pretty well hidden from the general park goers. Once inside, visitors are led into a small hallway where they watch a rules video, then they proceed into the haunt. Most of the haunt consists of long corridors with dark walls (although not a dark maze, as you can see clearly) with various set pieces thrown in. The sets vary from the traditional, like a cannibal kitchen, mental ward, and creepy clown area, to the more creative, such as the first scene, which featured a graveyard with live actors popping their head up from holes in the ground � a very nice effect and very well done. Other interesting scenes included a zombie diner setup with sarcastic waitress and annoying customer. Both were clever in their acting and made for some good laughs. There was also a clever scene set in a living room, where a crazy actor kept exclaiming �he�s coming! You�re gonna see now! Wait till he gets here!� followed by a surprise from the next room which I won�t spoil here. Additionally, there were scenes involving being trapped in a cage, having to crawl through what looked like a hamster tube, a room with video of horses eyes playing on the walls (odd), and even an electrocution room where visitors had to sit on three electric chairs to be �judged� by the executioner. Overall, while the scenes were not elaborate and the actors were mostly teens, there were some clever moments and the actors did all stay in character and provided some funny bits as well as some instances where we were startled. The end consisted of moving through a narrow passageway formed by blown up airbags. Unlike a lot of haunts, this passageway had hard airbags and it was most difficult coming through it. Once we exited, the lady taking the tickets said it looked like she felt when she was giving birth - a very apt analogy! Finally, there was an amusing live actor at the very end who thanked us for coming and made a few jokes. 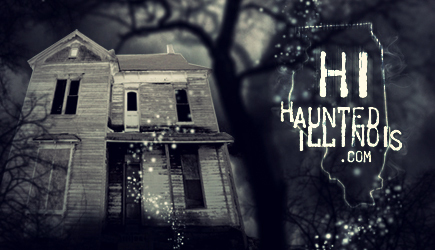 Overall, it was an enjoyable haunt, and very well suited for people with kids looking for a haunt that�s not too scary. Additionally, you can also walk around Santa�s Village and go into things like the petting zoo and the aviary that they have there. Basically, you can do anything at the park except for the rides, unless you buy the combo ticket. If you�re looking for a decent evening out and you don�t want to be too scared, Nightmare from North Street fits the bill.